Today is my first day of the next round of the Fast Metabolism Diet. I stopped the diet before the holidays knowing that it really wasn’t going to work out when I had tons of cookies to bake and other holiday goodies. One of the most important things about this diet is to plan ahead. Without planning ahead, it’s nearly impossible to stick to it. The recipes take time to make, the store might be out of an ingredient and you might need to change up a meal, or you might get stuck late at work with no snacks and come home completely starving. 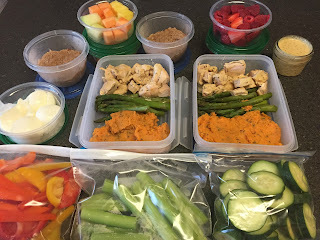 After planning out what I was going to eat for the first 28 days, I went through the pantry and pulled all of the things I can’t have on the plan to the front. I ate what I liked until yesterday and tossed out the rest if it was something Tom wouldn’t eat. I also went through the deep freezer and the freezer and took an inventory of what I have on hand. I completely forgot I still had some plan appropriate recipes frozen which will do wonders for those inevitable nights where I forget to pull out something for dinner. I have some garden meatballs, chicken and barley soup, pot roast and chicken vegetable soup. 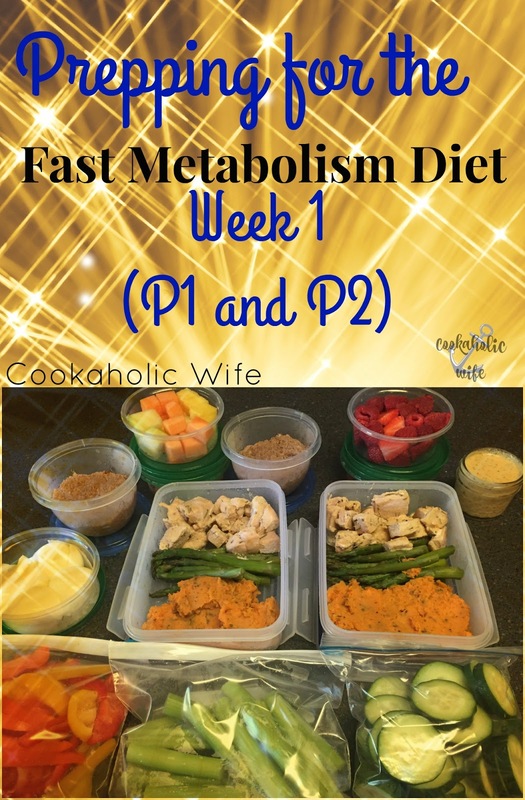 When not on this eating plan, I would still spend my Sunday mornings making my breakfast and lunch for the week and prepping any dishes that couldn’t easily be completed after coming home from work at night. Not much has changed, although there is more that I have to do since I can’t eat the same thing each day. And then because I still feed my coworkers baked goodies that I can’t have, I made eggnog cupcakes. As a reminder, here is what I am eating this week. With pretty much no notice, Tom was told that he has to go to Texas for work Tuesday morning through Thursday evening. In a way, this is good because he isn’t a fan of the balsamic steak I was making one night and now I won’t need to marinate a steak separately for him. I’ll also end up with leftovers from the pork roast which can be added to the freezer stash.